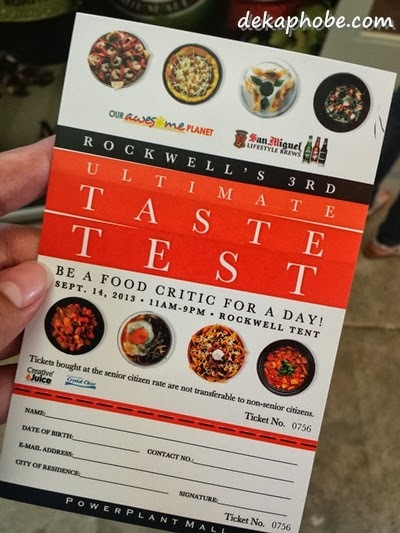 It was a truly tummy-filling day last September 14, 2013 at the Ultimate Taste Test, which took place at the Rockwell Tent, where a thousand foodies gathered to taste and critique food offerings from over 50 food vendors. Having attended a couple of similar food events these past months, I was ecstatic because it was my first time to attend UTT. I was truly impressed with most of the food offered, but here are the 20 food stalls that impressed me during my 5-hour binge. Yes, I was a saint and tried everything. An old favorite, I always The Plaza at SM Megamall. They now have an awesome selection of sauces like Premium Glaze, Wasabe Mayo, Sweet Mustard and Gutsy Garlic. I'm planning to get one for my family this Christmas. Schmidt's had done it again. I was first impressed by the Wagamama at Foodgasm 3 and it hasn't failed in impressing me again and again! The Pata Bihon is sweet and saucy with lots of pork slices, just the way I like my pancit to be. 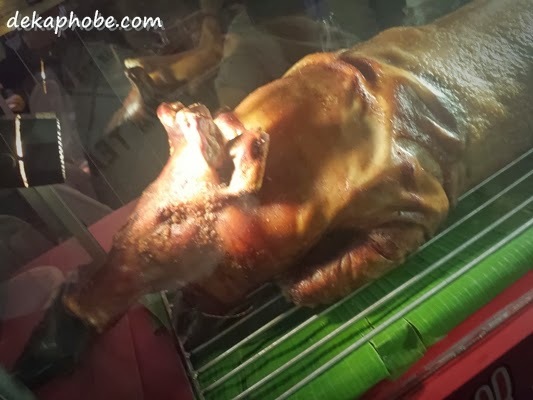 Diplahan Lechon is from Zamboanga, best partnered with vinegar as sawsawan. Negros' version has this tempting aroma that you can smell from a distance. Sisig is one of the most wonderful dishes the Kapampangans ever invented. I loved their Green Cayenne Reboot at Foodgasm 3, but I loved them more with the King Kong Apple Pie, which is sweeter and friendlier to my tastebuds. My Top Ten Picks at Foodgasm III! Porto Cena: The Mercato Centrale of Subic!